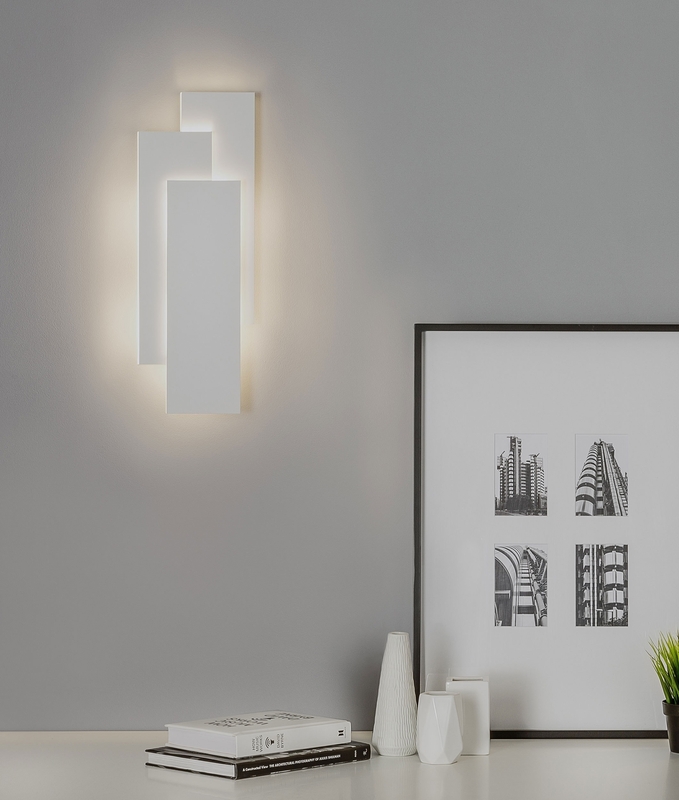 This wall light has three overlapping rectangle shapes which allow light to shine around and outwards providing a decorative lighting effect. 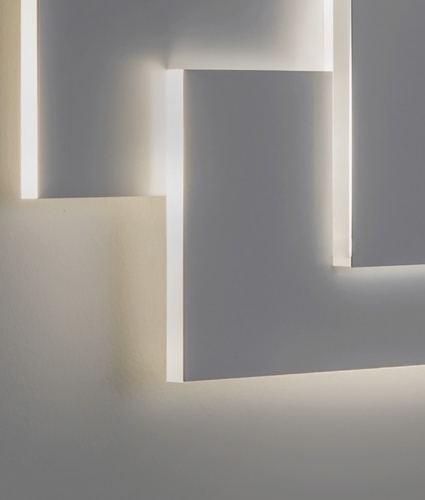 Highly original and stylish - this is a great quality white finish light. 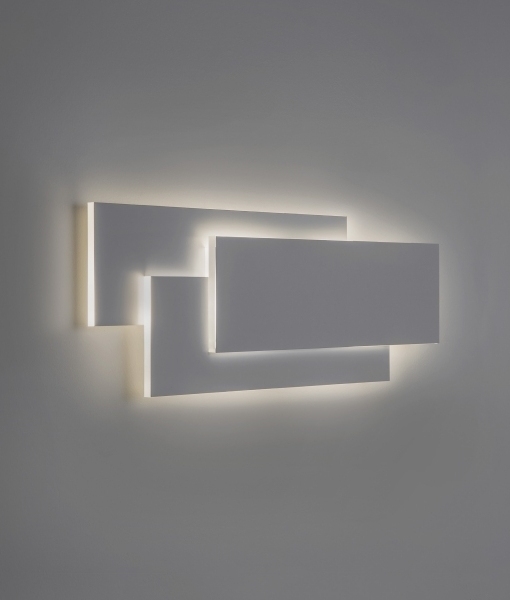 A very stylish interior wall light perfect for any modern living area or office space. The wall light can be installed horizontally or vertically. Non-dimmable but with a warm white 2700ºK colour temperature offering a soft glow. Integrated 12.8w LED diffusing light throughout the overlapping gaps. Integral LED driver included. Energy saving and ready to go! Can this light be used in Spain? This will work in Spain. Can this be used in the bathroom please? This has no IP rating, So we would not recommend using it in the bathroom. We have a wide range of wall lights that are suitable for the bathroom in our bathroom section. Need to know the finish on this fixture. This fitting is constructed from steel and finished in white.